Jump through the colorful hoops with Plane Driving Simulator. Bethe master of your own air plane and use the airplane controls totake air plane through the hoops. Fly amongst the clouds and intothe sky and see how fast you can reach the destination with thisamazing flight simulator. Soar into the high skies and experiencethe real flight simulation feel.It's hard but its not impossible.Do your best! Game Features:- *Colorful marked zones to fly yourair plane*Choose your plane amongst variety of collection! *Bonus oncompleting before time*FREE to play game*Best Airplane SimulationExperience*Unique worlds and multiple missions *Multiple CameraAngles*FREE to play gameHow to Play:-Tap your phone/tablet on yourright side to fly, brake and control the speed.Tilt or movesteering to control the airplane.Tap on left to take your air planeup & down.If you have any problem in installation, pleasereport to us. We will try to fix it as soon as possible. Go to the dreamland of the Prehistoric Jurassic Ages with AngryDinosaur Attack. Animalistic simulation at its best. Be thecreature and think like the creature to excel in this simulationadventure.Unleash the beast in you with this FREE game available onthe Google Play Store now! How to Play:-- Use the joystick to movearound the game- Tap right button to jumpIf you have any problem ininstallation, please report to us. We will try to fix it as soon aspossible. Get Shooting Contract for FREE on the Google Play Store Now!He ismighty,intelligent and very precise hunter. He is the ultimatesniper killer. Every daring assassin's role model.His sniperheadshot killings are a work of art. Sneak stealthily and kill tohunt down all the enemies silently like a daring vicious sniperhunter. Jump into his extreme terrorist world and finish all thesniper head hunt killing contracts now. Are you ready for theultimate sniper hunting challenge? Game Features:- *Multiple actionpacked levels *Intelligent enemy AI*Exclusive Sniper KillingContracts for you to finish*Compatible with all devices*Optimisedfor tablets*Blood and Gore Animations *FREE to play gameHow toPlay:--Tap your phone/tablet on right side to shoot and zoom in& out.-Tap on left side to navigate the area.If you have anyproblem in installation, please report to us. We will try to fix itas soon as possible. Underwater ramp car game with impossible car ramp stunt racing tobecome crazy track stunt master and the biggest mega ramp racingare all collectively in vertical ramp and mega ramp car drive. Joinit to perform impossible ramp car racing stunts of superheroes racegames with superhero water car floating. Vertical ramp car gamesoffer huge Mega ramp race with underwater ultimate ramp stunts onsky high mega ramp and mega ramp longest jump with mega ramp Loopstunts. The Impossible mega ramp car jump is as stunt man car racewith superheroes car stunts of water surfer game with specialfeatures of superheroes buggy car games and impossible mega rampgames with red car for lightning car stunts. Drive vertical rampcar of water car games 2018 as superhero color car on extreme megaramp for Kids car stunts with water surfer cars of superheroesracing games.Control blue car in impossible tracks stunt race andmove it like sky high cars on mega ramp jump of water park gameswith superheroes driving and underwater ramp stunts with newsuperhero of frozen waterslide in impossible stunt car racing ofsuperheroes race. Waterslide car racing is with furious mega rampof superhero car stunt racing games on extreme impossible trackswith grand ramp impossible stunts and car racing on water slide ofsuperhero car racing games for impossible ramp stunt master offloating water car games and sky high box games with superherobuggy car as ramps car. Grab floating underwater car free ofimpossible track race as superheroes cars of underwater car gameswith biggest ramp car on impossible race tracks of car stuntmangame of big ramp games in superheroes racing of sky high car games.Show crazy ramp car stunts in water car impossible race 2017 assuper water surfer on mega-ramp of extreme impossible tracks carrace with superhero car on real impossible tracks and biggest rampjump of floating underwater car simulator of superhero car drivinggames.Enjoy beach water surfer with superhero color to become realwater surfer. Impossible tracks mega ramp car race on high speedramp for water slide adventure of impossible tracks car games.Superhero car stunts and water car ramp drive games as stuntmaster. The superhero car driving of water surfer cars for megaramp stunts to enjoy frozen water surfer cars of best superherogame. Car sky high driving as well as water car driving insuperheroes car to control stunt man tricks of water park games.Kids superhero cars for extreme mega ramp stunts with fun of waterpark racing and car games on water are with super heroes. Don’tmiss frozen water slide car racer at huge ramp in this impossiblestunts game with super league heroes of real water surfer carracing with stunt master car and kids superheroes of impossiblestunt car game.Underwater Super Hero Car Mega Ramp Racing Stuntsfeatures:Water slide car racing stunts on impossible car ramp withfloating underwater cars of kids superheroes driving.Super WaterPark with spider hero cars in water surfer floating with superheroes car of ramp transform racing.Car for kids in stunt mastercar simulator as real water slide where rocket cars are lightningcars and color cars.Water car games features in superhero racingwith impossible car stunts as racing adventure.Sky diving stuntscar of water car racing for the mega ramp car stunt master withgreen car.Superheroes game on impossible vertical ramp with thebiggest jump GT as water car slide.Mega ramp car race stunts as thegrand impossible stunts for real monster bulk superhero.Kids colorcars of stuntman games free with full HD resolution and 3dgraphics.Water racing games with fun of mega ramp car drive andstuntman car race of water sliding car games. 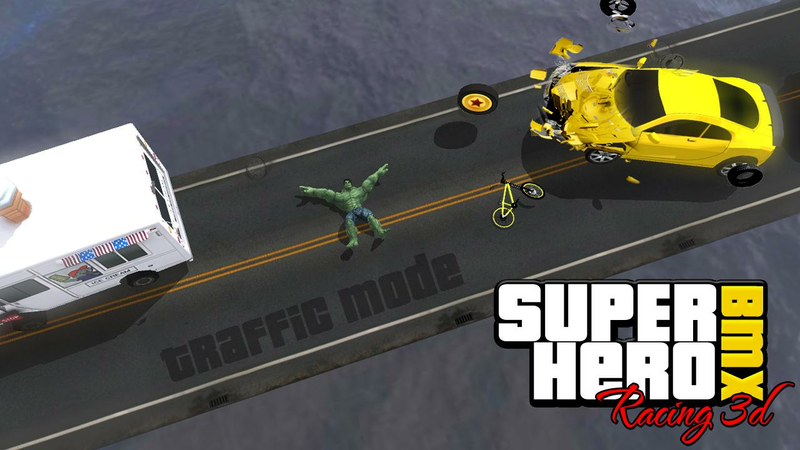 This superhero racinggame is collection of under water racing games that are for realsuperhero car stunt master. Install impossible stunts ramp cardriving to enjoy huge vertical mega ramp. Superheroes Hill Dash Car Stunt: Cheeky Drift Game In SuperheroesHill Dash Car Stunt: Cheeky Drift Game your super hero will driveultimate GT stunt car drive make superkick in clash of battler gods. Super hero ultimate cars lightning and become bike rider.Superheroes Fighting Game is awesome super league heroes actiongame . Chinook chopper infinity war games by driving cop car in copgames and amazing spider. super heroes like superhero bat ,superhero spider , superhero dead , superhero monster , superheroiron , superhero panther , superhero captain . play as carrom gamesand enjoy hill climb super hero racing games . 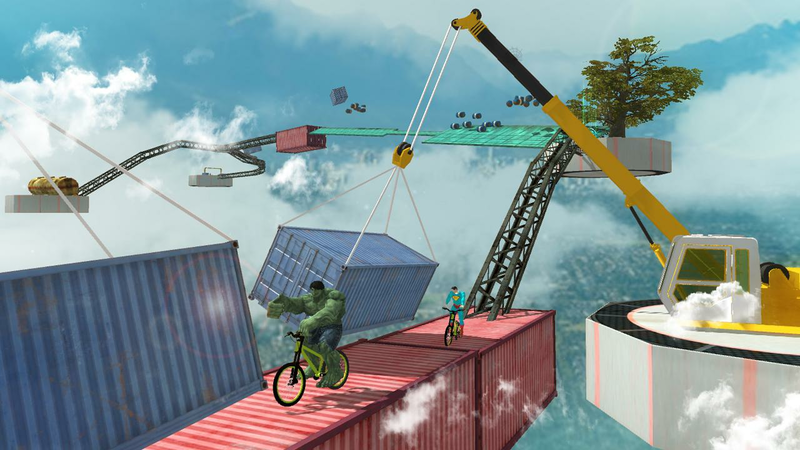 You will enjoy alsosuperheroes bike free race game and superheroes buggy air stunt topracing games in next games .offroad superheroes bike top freeracing game is very challenging game . You will fight with allsuper heroes in free style superkick superhero fighting games inarena ring battle .you have played champions fighting but you willplay first time a race between super league champions in off-roadfighting arena in this combat superheroes war . 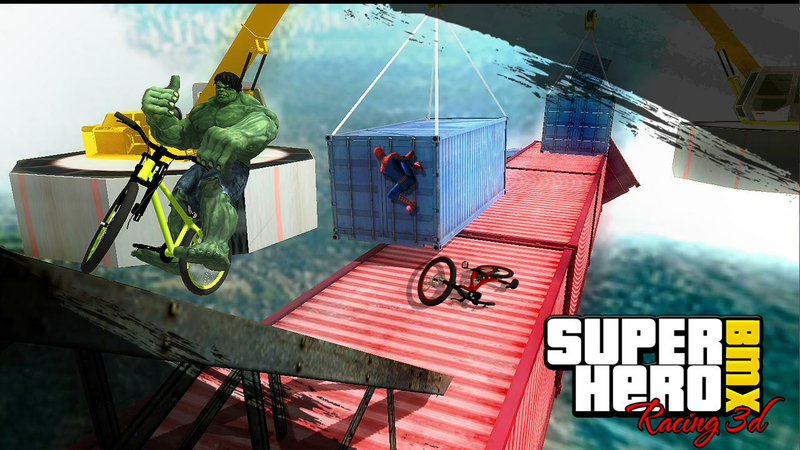 Play the game likeangry subway birds to run the flip over stunts and knives the outall stunts .Make the rules of superheroes survival war between eachother . Kids superheroes driving rocket cars and bikes in thesupercity . 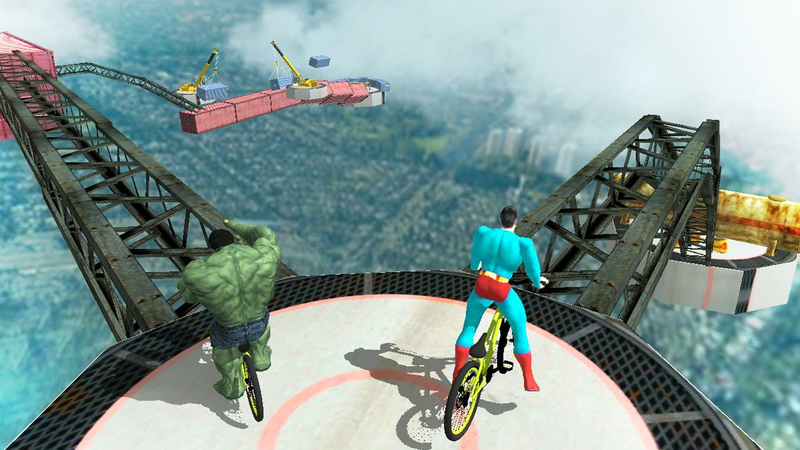 you drive usa bmx mad skills motocross as a progressertransit car superhero blast classic crs superhero game . 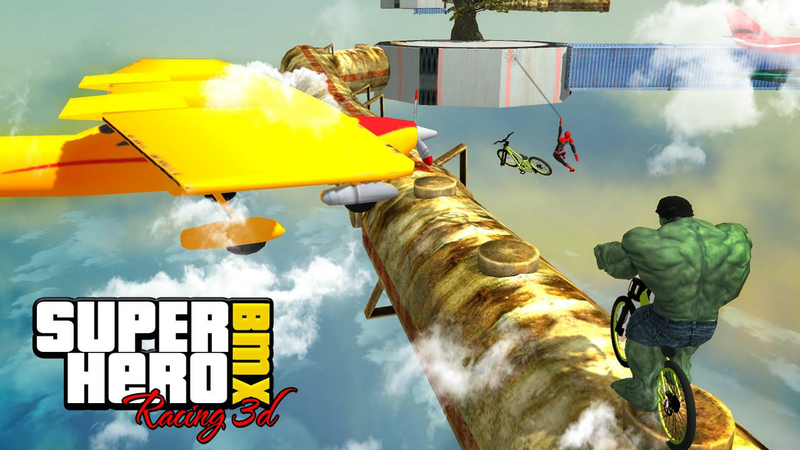 superherobikes are making top stunts on hilltop and their wheel barrow areon the stunt car tracks .superheroes are making extreme stunts likespeed car for kids . 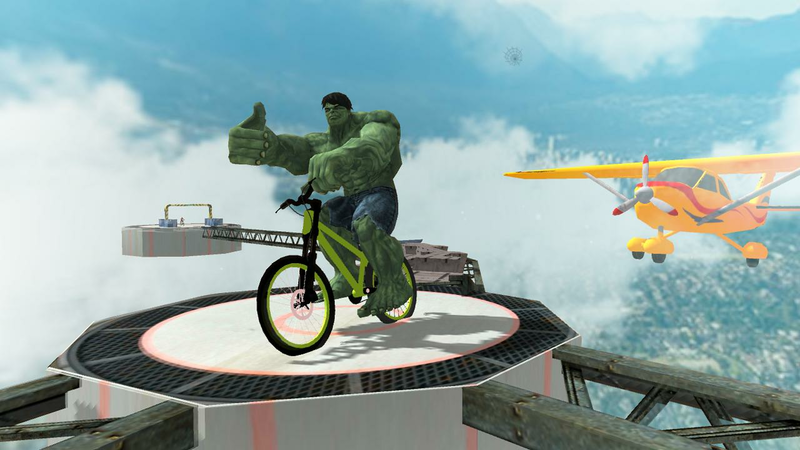 Features : *Smooth Superheroes Hill Dash CarStunt: Cheeky Drift Game gameplay *Amazing Environments *Realisticenvironments *Off-road hill climb and uphill super hero Offroadenvironment GamePlay: *Super hero have many combo's *Jump stunt inair fighting helicopter Let's Enjoy Superheroes Hill Dash CarStunt: Cheeky Drift Game. The most fun and exciting racing game is here! Pocoyo Run & Funis a fast and casual game to play for free, whenever and whereveryou want, with one hand. Jump with your shopping cart at full speeddown the mountainside and don't let the avalanche of little greenaliens catch you. Use the advantages you can get with the extracharacters to go even faster, avoid obstacles and discover newtricks and powerups. Jump at the right time for incredible posesand acrobatics. Try to discover them all, there are many surpriseshidden. Run to collect the coins and redeem them for upgrades andget even further! - "Endless run" game based on fluid physics. -Land generated procedurally. There will not be two equal matches! -Simple controls, easy to play but with depth of gameplay. - Systemof tricks and pirouettes, fun and challenging. - Colorful and funvisual design. - Wide variety of objectives and missions that willunlock achievements and rewards. - Hundreds of hours of speed,laughter and fun! A game for players of all ages: fun andchallenging for kids and adults. Introducing Mini Racing Adventures, possibly the best free todownload realtime multiplayer, 3D endless side scrolling physicsbased racing adventure game ever created! Meet Martin Nitro Minimo,or MnM for short. Now short in stature he may be but underneaththat facade lies a great big heart with big dreams to fulfill. HelpMartin in his quest to become the record holder as the greatestendurance racer of his time and overcome his shadowy rival OminiSpeedario that is in relentless pursuit. Mini Racing Adventureschallenges you to unlock our collection of 26 unique vehicles eachwith their own feel, to travel across the farthest reaches of 12adventurous stages. Race into action as you select your favoriteBuggy cars, ATV, Trial Motor Bike, and even Truck to climb thehighest hill, dirt tracks, snowy mountains, and other beautifullydesigned stages. Maximize your vehicles potential by unlocking 5different upgrades. We wish we could see you at the finish line butthe road never stops so you will have to create your own. Are youup for the challenge? Features: ★ Online Realtime Multiplayerversus other MRA racers and even your friends ★ Offline Multiplayeragainst CPU or your Ghost! ★ Google Saved Games Cloud Save ★Leaderboards & Achievements ★ Smooth and realistic physics(look at those suspension in action!). ★ Stunning 3D visuals andgraphics ★ Lots of selectable vehicles ( Offroad Buggy, Baja Bug,Moto Bike, Truck, etc ) ★ Upgradeable vehicle components ★ Controloptions ★ Social Media Sharing ★ Free to Play This game is achallenge for any speed freak, off road climbers, rock crawling andauto enthusiast, and even asphalt drag racer. No traffic lights,pick your own favourite cars that suit your driving style, fastyour seatbelt, speed up and help Martin win those furious races!Like and follow our Facebook & Twitter to get the latest newsand updates. See what our plans are for the next update of MiniRacing Adventures. Don't forget to drop us your review and ratingto help Martin find more rivals and fans. Happy Trails and Trialsand remember to buckle up as it's going to be a bumpy ride! ✦ CloudSave Notes ✦ Please make sure you save the progress manually usingthe cloud button in home screen. And please make sure you areonline and logged in with google account. And make sure your googleaccount Auto-Sync App Data is ON. Otherwise your data will notuploaded and may lost. ✦ Multiplayer Notes ✦ There is a problem toplay multiplayer on ASUS devices and few other devices. *For fastresponse, please send us bug report and any problem [email protected] , report in User Review will be repliedseveral days. There are some bugs and suggestions that we haven'tfix yet, please be patient and keep us updated. Thanks for thesupport! Drivers start your engines! Professional oval track racing thatexplodes with racing action! Experience the adrenaline as you steerover 850 horsepower on different oval tracks! RACE MODES :Multiplayer - Race head to head against other players in realtime.Regulation - Race and set the difficulty for higher prizes. Ladder- Race 10 laps against progressively faster opponents forincreasing prizes. Endurance - Race the full 400 lap distance. HotLap - Set your fastest single lap on Game Center. Practice -Practice racing lines and setup your car for race trim. CARS:Choose 18 different cars from the golden-era, super trucks right upto the modern-era stock cars. EXPERIENCE THE SPEED Feel your car onthe absolute limit of adhesion around 1 to 4 mile banked ovaltracks. Earn in-game cash to buy, upgrade, repair and adjust yourStock Car. Qualify to unlock new tracks for increasing prize money.REALTIME MULTIPLAYER RACING Race your friends, win prize money andchampionship points to make it onto the online leaderboards.MULTIPLE TRACKS 5 unique tracks night and day from a 1 mile shortoval to a 4 mile super speedway. REAL CRASH PHYSICS Simulatedcar-damage with sparks and smoke for a more realistic racingexperience. CUSTOMISE YOUR STOCKCAR Design your Stock Car with teamcolours, hood decals and racing numbers in the Paintshop. UPGRADEYOUR STOCKCAR Engine, tires and chassis increasing your car'soverall performance. SETUP YOUR STOCK CAR Allows you to Advancetune adjust your tyre pressures and suspension setups on your carfor race trim. 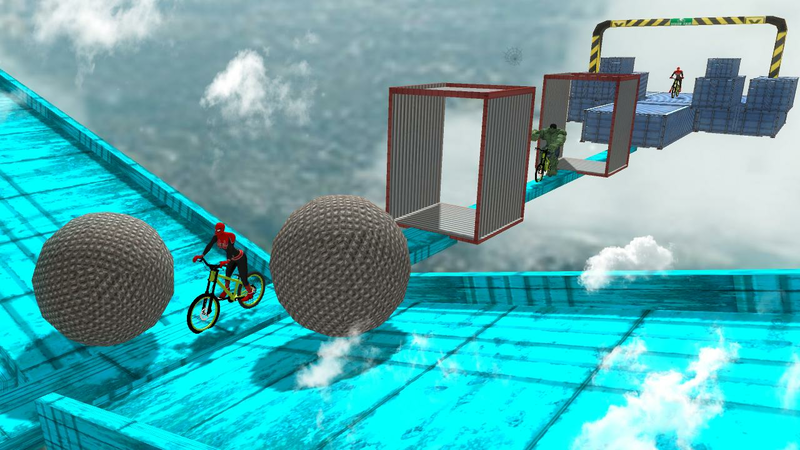 REAL SIMULATION Visually stunning 3D graphics andrealistic physics. RUBBER-BANDING ASSIST Helps gets you back intothe race quicker. EARN IN-GAME CASH Based on finishing position andcalculated each lap round, the higher you place the more you earn.Drivers start your engines!